What happens when the mother-daughter bond is broken by betrayal? 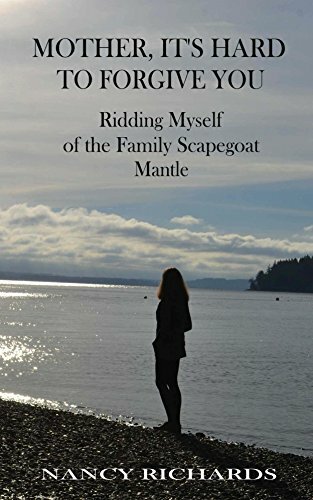 After a childhood plagued with physical and emotional violence and a fourteen-year estrangement from her entire family, Nancy Richards discovers herself at a crossroads. The mother she had both loved and feared as a child reached her by telephone to offer an apology for her abuse and to express a desire for reconciliation. As she looks into the rearview mirror of her life and at the horrors inflicted by her mother, Nancy must decide whether to risk the safety of her present life or remain an orphan of circumstances. Is there really any reason to go back for more? Richards takes the reader on an emotional and inspirational journey offering hope that healing from violence in families may be possible. This is Book 2 of a two-book series. The other book in the series is "Mother, I Don’t Forgive You: A Necessary Alternative for Healing.” This volume also works well as a stand-alone book. *** Some parts of this book were originally published in 2008 by Blue Dolphin Publishing, Inc., Nevada City, CA in "Heal and Forgive II"